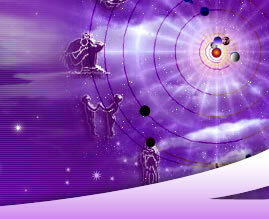 ACS provides individual astrological consultations regarding the past, present, and future. We work with the client to uncover essential themes, stumbling blocks, and the places of untapped potentials. Our astrology readings are intended to help each client dialogue with their inner universe and to awaken their divine purposes. ACS provides astrology with a depth perspective which mean that we are not focused on prediction but more on the nature of each person's soul and how to form a deeper relationship with the gods and goddesses within. By engaging these relationships, clients find that they have more vitality and direction with their life. 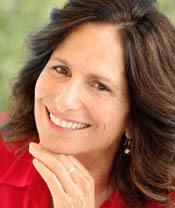 Jennifer has been a licensed psychotherapist and depth oriented astrologer for over twenty five years. Jennnifer is also a certified mediator, hypnotherapist, and EMDR practitioner. She has served as core faculty at Pacifica Graduate Institute, and specializes in psychological astrology from a process perspective. 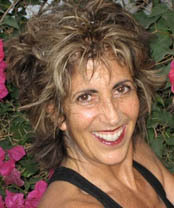 As the Executive Director of ACS, she has been teaching psychological astrology for over 18 years. She is ISAR certified, the international society for astrological research. Jennifer is warm and compassionate, and she provides a magical atmosphere within which you can deepen your understanding of yourself and your understanding of your psyche as revealed by the astrological chart archetypes. Her insights are astounding, and she is focused on finding the positive intentionality, the current lessons, and the unique qualities of each individual. I am working with people's essential wisdom and facilitating the awakening of their passionate truths. Through depth astrology people experience a liberation from restrictive beliefs and emotions. You can email Jennifer for more information or to set up a session. Barbara has been facilitating personal and spiritual growth for over 25 years in a wide variety of settings and modalities including having been a licensed Marriage and Family Therapist. She has been practicing psychological astrology for the past 7 years and has been approved by ACS. I love the validation provided by the Astrological Chart! It is amazing to see people feel so seen and heard on the deepest level; often from just one reading, people find that they stop fighting with themselves, and instead begin to enhance their natural gifts and talents, working to be their best selves and evolve, rather than trying to be something that they are not. Sessions with Barbara are in person only. Her readings are 60 minutes long, and the cost is $125. You can email Barbara for more information or to set up a session. The astrological chart not only symbolizes psychic structure, it also elucidates the critical formative events and subsequent beliefs that underlie the lifescript. The value of a chart consultation is that it enables the client to see his or her story objectively. By gaining perspective, clients are able to liberate themselves from old beliefs that may no longer be appropriate to present circumstances, while also discerning the moral of the story, i.e., the lessons learned and the gifts of character that develop over time. Greg is an astrologer whose work combines a mythic-archetypal and therapeutic focus with precise calibration of influences using transits and progressions. He has been practicing astrology professionally since 1981 and offers consultations in person (in the San Francisco Bay Area) or by telephone. Greg is a professor of counseling psychology at John F. Kennedy University and The California Institute of Integral Studies. To contact Greg, call 510-594-4329, or email: [email protected]. To order Greg’s books, call Dawn Mountain Press at 510--412-0486, 8 am — 8 pm Pacific Time. My natal horoscope readings are really a package of two scheduled sessions. The first session takes between 60 to 90 minutes. I cover the natal chart, long term trends, and a detailed look at the coming year. I react very well to questions and can shift my focus as needed. This is your session and you are in control. The second session is scheduled on request by the client. I try to give my clients a perspective on life and an understanding of the underlying issues and themes. My approach is to offer practical insights as well as the timing and sequencing of the change process. payable the first session and ONLY if satisfied. The law of synchronicity explains why the horoscope is drawn at the moment of the child's first breath, for that is the time when the new born child begins their individual rhythm and tune with the greater whole of life around them.